It should be noted that neither the editor nor the contributors are responsible for, or necessarily endorse, any of the views set forth other than their own. The book is not put forward in a hostile spirit, but in order to assist the critical examination now taking place in the minds of a not inconsiderable portion of the people of this country into a system which dominates a great part of our educational life. I desire in this introduction to deal briefly with the chief points of criticism raised either in the subsequent pages or elsewhere, and to put forward a number of suggestions although some of these are also raised and discussed by other contributors to the symposium. 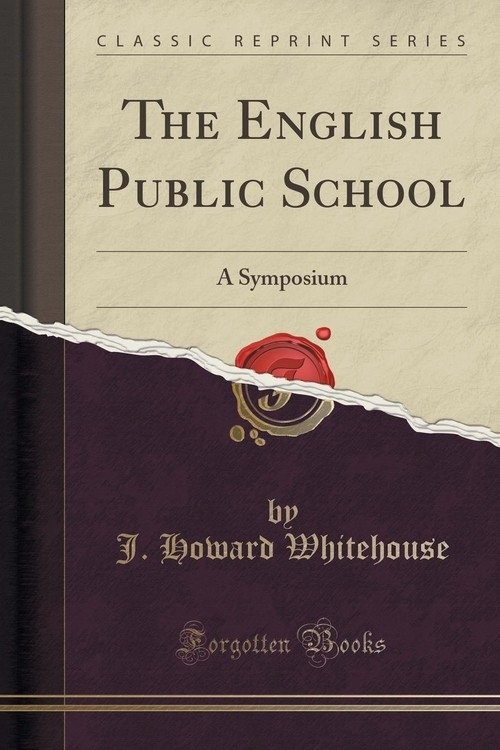 The power of tradition and convention in the English public school system is excessive, and this fact alone is sufficient to justify inquiry, suggestion and criticism. For general convenience the main points around which criticism has ranged are considered separately. References will be made in this connection to some of the questions raised, and the suggestions made by Mr Martin Browne, in his Dream of Youth, a little book written in reply to Mr Waugh by an Etonian.